Note: Alternate Water Capital Recovery Fee pricing may be requested by multiplying the gallons per day fee of $2.24 times the projected average daily water consumption. This alternative may be applied where the average daily water use can be estimated with a high degree of accuracy. 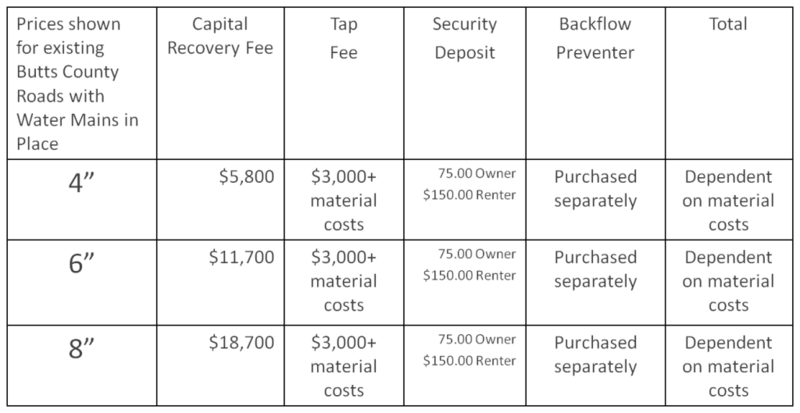 In no case will the Capital Recovery Fee charged be less than the fee for a 3/4" service connection.